The Damned 115 Platform Ankle Boot from Demonia is a gothic patent and matte vegan leather boot. The platform ankle boot has a lace up front, inside zip and velcro straps and features a 3.5" platform. 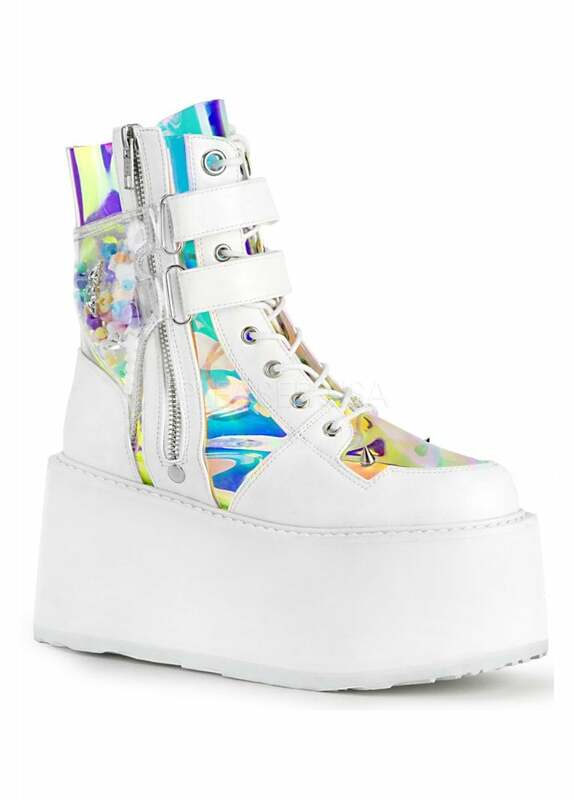 The boot also has hologram PVC panels and a clear plastic panel filled with cute charms.